Experts, under the auspices of the Cyber Security Experts Association of Nigeria (CSEAN) have urged the Federal Government to establish a National Cyber Security Centre, saying it will ostensibly tackle the menace of cyber crimes in Nigeria. They took this position as part of the resolutions reached at this year’s Cyber Secure Nigeria Conference, which was organised by CSEAN in Abuja, Nigeria’s Federal Capital Territory. 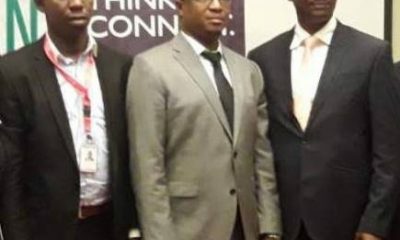 At the well-attended conference, which attracted security agencies and stakeholders from the public and private sector of the Nigeria’s economy, the experts advise that the National Cyber Security Centre should be saddled with the responsibility of coordinating and implementing the National cyber security policy and strategy. Afon added that, unfortunately, cybersecurity in Nigeria is currently under-resourced and lacks the appropriate long-term funding in both the public and private sector. But going forward, the Federal Government needs to invest in research, whose findings will meet and response to cybersecurity threats in a timely fashion and to nurturing human resource capabilities. This, he believe will form a basis of finding lasting solution to the menace of cyber security in Nigeria. All over the world, new regulations are coming out and are being adopted to protect personal data, respond to the ever-changing complex technological landscape. Thus, the 3-day conference with the theme “Implementing Cybersecurity and Data Privacy Practices in Nigeria” was organised. According to CSEAN, the conference will put organizations under stricter obligations to be fairer and more transparent to the way personal data are being handled, arguing that failure to enact data protection law leaves the citizens of Nigeria exposed to data breaches. He noted that cybercriminals are stepping up their game and data breaches are increasingly common and devastating. 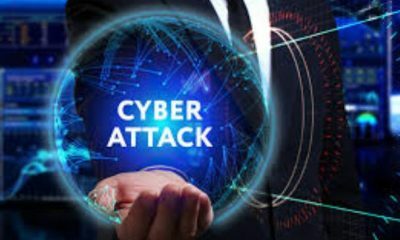 “While cybercriminals are collaborating, sharing information and providing 24/7 support services in the dark web on various cybercrime activities ranging from malware creation, compromised passwords sale, zero-day vulnerabilities, the government and private sectors in Nigeria are working in silos,” he posited. He suggests, to adequately tackle cybercrime in Nigeria, the government must partner and engage with industry and cybersecurity organisations. Osinbajo, who was represented at the conference by the Minister of Communications, Barr. Adebayo Shittu, added that there is a need to jointly work together and the menace of cyber crimes as nobody, including corporate entities are not immune. “As a government, we believe that cyber security has come to us, as individual and national development increasingly rely on Information Communication Technology (ICT) to thrive,” he stated. Cyber Secure Nigeria Conference has become an annual event; this year is the fifth of its kind and it aims to prepare participants through workshops, plenary, technical and breakout sessions on how to implement cybersecurity and data privacy practices in Nigeria. The conference is packed with rich cyber security and data privacy topics to be delivered by distinguished speakers. I hope you will all enjoy the conference and bring home with you an unforgettable memory.